Oh, please. While a well-made Martini is indeed a wonderful thing, gin is much more flexible than that, and there’s no better time to mix with it than in the summer. The botanicals in the spirit pair naturally with citrus in refreshing summer cocktails. And even if one doesn’t care for the juniper bite of a traditional London Dry gin, there are plenty of new gins on the market that are perfect for mixing into cocktails not as austere as DeVoto’s idealized Martini. The classic summer gin drink is the Tom Collins, a simple combination of gin, sugar, lemon juice, and soda that was appearing in cocktail books as early as the 1870s. At the time it would have been made with lightly sweetened Old Tom gin or genever, a malty Dutch spirit flavored with juniper and other botanicals. Today it’s more commonly made with a London Dry. The fruity, floral Beefeater Summer Edition, which adds elderflower, blackcurrant, and hibiscus to the usual recipe, works well here. 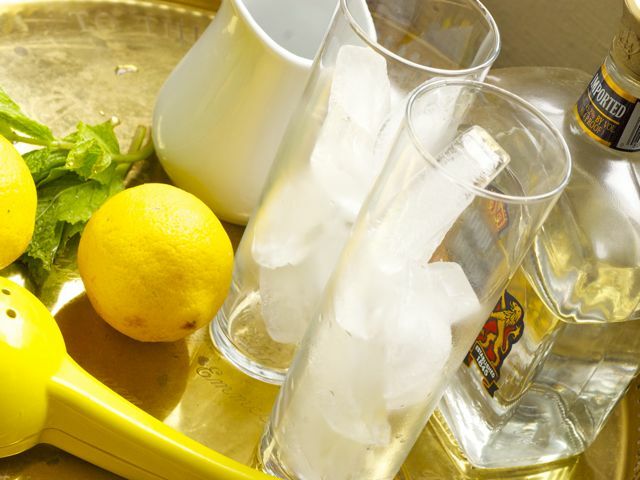 Pour the first 3 ingredients into an ice-filled collins glass, top with soda, stir gently, and enjoy. 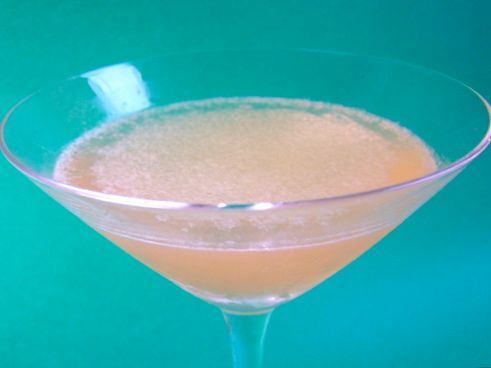 The ingredients in this drink combine to create a crisp, almost grapefruity cocktail. Any London Dry will do here, though I like it with softer gins like Plymouth or Oxley, a unique, cold-distilled gin that just recently arrived on the market. The Tom Collins and Pegu Club are easy to make; this last drink requires a little more work, but the advanced preparation pays off with a unique cocktail. This is a winning drink I created for a summer cocktail competition last year with Organic Nation gin, an organic spirit produced in Ashland, Oregon. It’s designed for summer grilling in the backyard, featuring watermelon juice and smoky notes from lapsang souchong tea. Shake the first four ingredients, then strain into an ice-filled collins glass. Top with soda and stir. Garnish with a skewered chunk of watermelon, or with pickled watermelon rind if you’re feeling especially ambitious. Bernard DeVoto would not have liked any of the “abominations” described above, but for the rest of us, they are a delicious way to enjoy one of the world’s great spirits during the summer heat.